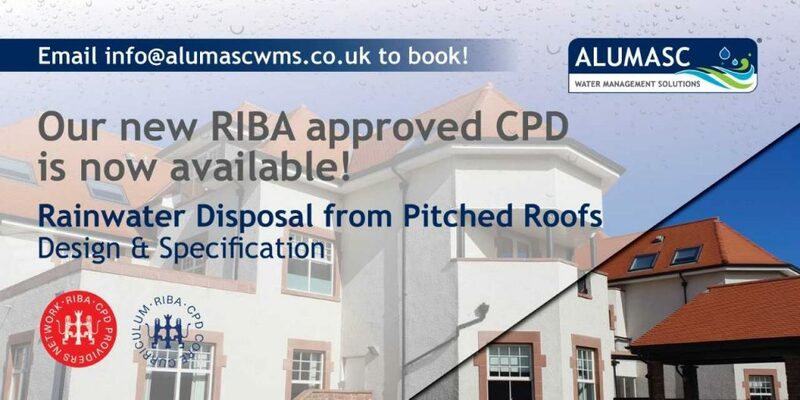 The one hour seminar, entitled ‘Rainwater Disposal from Pitched Roofs’, is aimed at educating architects and specifiers about the design principles of gutter & downpipe drainage and parapet wall & balcony drainage. This includes system design based on BS EN 12056 Gravity Drainage Systems for Roof Drainage. Which focuses on a balance between designing a roof drainage system that is able to cope with extreme rainfall events whilst balancing it with practicality and cost. Other key areas include installation details & considerations along with maintenance.